Elegant and fully equipped, this modern B&B is located in an ideal position near the International Trade Fair of Sardinia, a stone's throw from the famous Poetto beach which can be reached by a direct bus service. 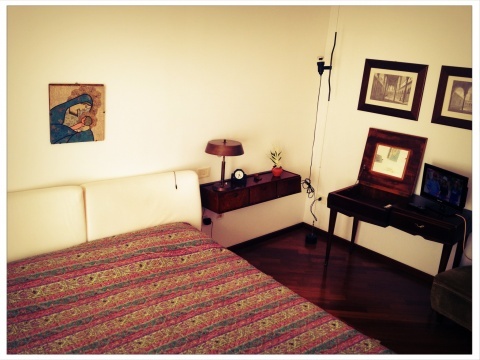 Benedetta can accomodate two people in a quiet and elegant king-size bedroom with heating and A/C. The commercial port of Cagliari (public bus service available) is at a 5 min drive, whereas the Cagliari international airport is at approximately 10 min drive. The local transportation system allows our guests to reach easily all major tourist attractions in town, includind the Medieval city, the museum area, the Poetto beach and the shopping district.